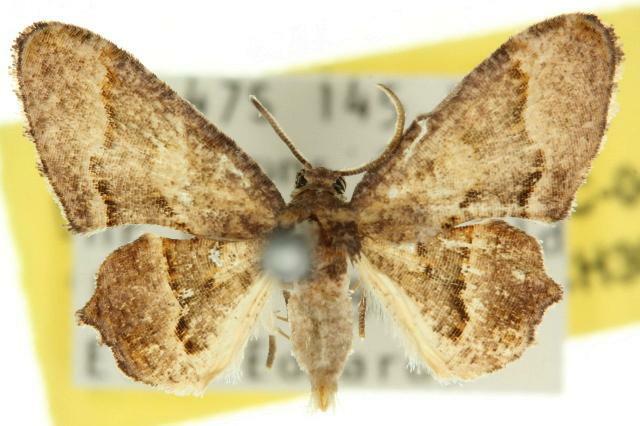 The adult moths of this species have curving bands of shades of brown on each wing. The hindmargin of each forewing is concave. The hindwing margins each have a projection. The wingspan is about 2.5 cms. Volume 5 (1898), p. 230, No. 20.